Davis Beadle has a theory. You look like your instrument. And trumpets? Trumpets are cool. 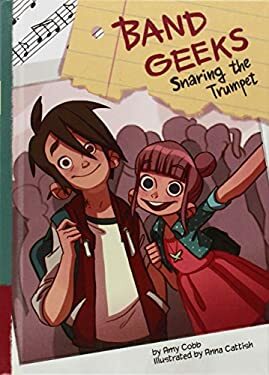 But when he and his best friend Yulia join the Benton Bluff Junior High band, the trumpet section is full! Sent to shadow other band members and try new instruments, Davis forms a plan to stick with trumpet. But will something else stick instead?